More tea! Good. Warm up the tub. Where were we? 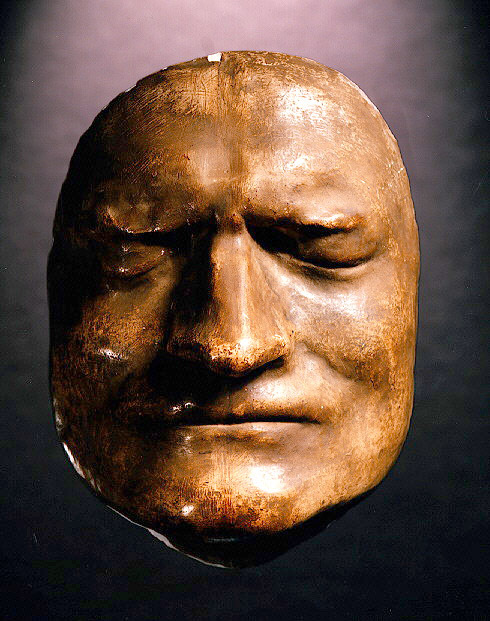 Caption from the Royal Society: A cast of the face of Sir Isaac Newton was made at his death in 1727. The original, now owned by the Royal Society, was probably sculpted by J.M.Rysbrack (1693?-1770). This plaster copy, which is numbered “44”, is a Victorian relic and was donated to the Observatory by the Misses Wallace. Newton was born at Woolsthorpe in Lincolnshire, England on 25 Dec 1642. He studied at Trinity College, Cambridge from 1661 – 1665/6 when the university closed due to the plague. His most famous work is the The Principia [the Crawford Library holds a first edition (1687) and a third edition (1726)] where he discusses universal gravitation. In 1696 he was appointed Warden then later Master of the Mint and in 1703, he became President of the Royal Society. Republicans, and Fox News, either can’t count, or are telling a whopper, about Democratic laziness with an imagined Senate supermajority; which is most likely? Wallace believes the Dems’ “filibuster proof majority in the Senate” lasted 24 months. In reality, he’s off by 20 months, undermining the entire thesis pushed so aggressively by Republicans. Ron Paul sometimes appears, to me, as a guy from another century. I don’t mean “in the future.” Looky here! Here’s a Paul-supporting site, a group that tends to glom on to almost every conspiracy theory coming down the pike, touting Paul’s great success in getting a “full audit” of the books of the Federal Reserve — you know, that bank Alexander Hamilton told us we needed, and that in its post-Depression form modeled the way central banks the world over should behave, creating a post-WWII era of American-modeled economic freedom that led to astonishing leaps in income and quality of life for people and peoples all around the world. Well, we are told breathlessly, Paul insisted on an audit, got a law passed — and here’s the audit and the results are shocking! Wait — don’t those “findings” sound familiar? Oh, the report is more than a year old . . . to just took the Paul people that long to find it . Sen. Bernie Sanders told us all about it a year ago. How about an audit of Romney’s economic plan? Oh, it’s been done. It’s a road map to exploded deficit city. Glenn Beck is a bully, and frequently wrong on factual issues. He’s the chief supporter of history-distorter David Barton. Beck has moved to Dallas (our air quality has been awfully bad here lately), where he can fly American Airlines all he wants. But alas for him, American Airlines employs honest people. I’ll wager Beck’s prevaricating about what happened. I’ll wager the flight attendant treated him exactly the same as everyone else, but Beck has a congenital chip on his shoulder and sour pickle in his mouth. He certainly he got accurate feedback, despite the flight attendant’s courtesy. Maybe it was God opening Beck’s eyes, eh? Good news for Americans who suffer from high gasoline prices — but of course, that means bad news for the Romney campaign. Austerity? Good in some cases, no doubt. It’ll sink our economy, now. It’s sinking Greece — doesn’t anyone follow the news? Wonder what Obama and Romney think about science issues? So did Scientific Debate, so they asked. Obama and Romney answered. Bill Nye said creationism is inappropriate for children. He’s been saying that for years, but when he said it off the cuff, for Big Think, a bunch of people sat up and took notice. “The Science Guy, standing up for science! How dare he!” Who knew? And that was before someone asked Nye what he thinks about Todd Akin’s odd views. Good heavens! Akin agreed to debate Nye, on evolution? Reading the story, though, it’s odd — I had thought Akin a Christian, but apparently he worships anti-evolution, anti-science. That would explain his views, but why don’t Missouri voters reject him as a cult believer? Odd. A professor of ecological science who thinks asking people interested in science to register to vote is a “liberal” idea. Of course it’s liberal, as in “liberal education.” Is it left-wing? Only if being right wing requires being stupid, and being anti-science. Odd a guy in a scientific-minded discipline would think that way. Bedbug stupid: Over at the Constitution Club (to get what they mean, think of “Baby Seal Club”), they’re yucking it up over a Washington Times manufactured story that says some Charlotte, North Carolina hotels might have bedbugs — ho! ho! ho! — and maybe some Democrats will get bitten. Con Clubbers aren’t good on science, law or history — they blame the U.S. ban on DDT for the problem, and say it’s a case of over-regulation since a lesser restriction, like banning agricultural use, would have worked. They were unaware that bedbugs developed immunity to DDT in the 1950s; that that bedbugs were eliminated from the U.S., mostly, without DDT later; that the “ban” on DDT was only on agricultural uses, etc., etc. It’s almost like watching somebody laugh at Euclid for claiming a triangle in a plane has angles that total 180°. “Everyone knows water boils at 212°, so a triangle would be too hot to handle!” the ConClubbers would complain. Did The Economist really come out against Mitt Romney and, therefore, in favor of Barack Obama? Brad DeLong said so. Do we really need to vaccinate every college kid against meningitis? Interesting, provocative article in The New York Times. Also cool — article is by Texas Tribune’s Reeve Hamilton, son of an old U of Arizona chum of mine. Is it true that we expect Republicans to plot against their nation, and tell fibs about it, and that’s why no one seems particularly concerned? Partisan GOP sites claim the Obama stimulus cost amazing amounts per job produced. But the actual CBO report they base that on says the Obama stimulus saved our economy and made massive contributions to our GDP, in only three months. Who to believe? Yeah, yeah, yeah: The Obama dislikers complain no end if Obams doesn’t salute a flag somewhere just exactly right, or they’ll make up stuff about Obama not saluting . . . but just let their guy, Romney, campaign under the flag of his homeland, the Cayman Islands . . . and the silence is interesting, don’t you think? Enough of the soaking. But the backlog still exists. 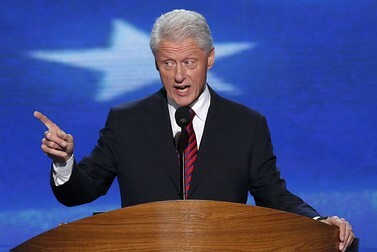 You are currently browsing the Millard Fillmore's Bathtub blog archives for the day Wednesday, September 5th, 2012.